One of the problems with talking about cultural competency, is that the studies aren’t quite there yet. A problem that we have when we talk about cultural competency in the UK is that people within the birth world are likely, though not necessarily, to have seen the American statistics. We have this misconception in the UK that racism doesn’t happen here in the same way it does over there and therefore it’s not as important. Within the US you have people who are very much divided and categorised along racial, ethnic lines, and they’re such a vast population it’s sort of easier to see, whereas here in the UK, our highest concentration of ethnic minorities and BME (black minority ethnic) people, tend to be in the cities. If you come from a city and you go out into a rural area you notice the lack of BME people relatively quickly. 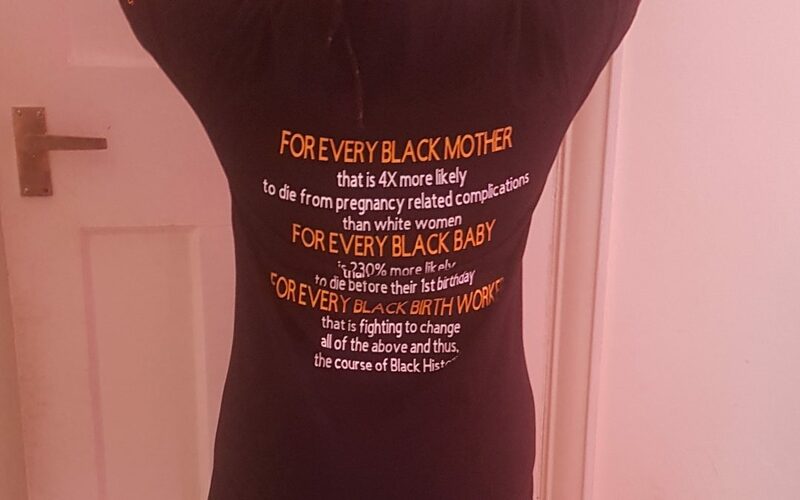 So, when we see in the birth world, across The Pond, that in a New York hospital black women are up to 12 times more likely to die in childbirth than white women and that their babies are 230% more likely to die than white babies in the first year of life, we think, “oh my goodness that’s so shocking thank goodness we have the wonderful services that we have over here”. This isn’t to say that our services aren’t wonderful. That isn’t to say that people across The Pond in the States aren’t doing wonderful work, and providing wonderful services. In the US they work within some really rather serious constraints where everything seems to be doctor led rather than client led and/or midwife led. What we discovered and what has been around for a while is that because people don’t look for it, they don’t see it. When I say look for it I’m not saying let’s go out and find really terrible things that are going on. What I’m saying is that they don’t see that over here black women are four times more likely to die in childbirth than white women. That’s not an acceptable statistic at all. I mean, we all know that the most acceptable statistic is that no woman dies in childbirth, but to know that if you are BME you are four times more likely to die. Well, then there’s something wrong. So, most of the studies have been done, have been done in America and what they tried to show, and what white birth workers over here do a lot is decide that it’s a socio-economic issue. Because black women are less likely to have as much money, less likely to go to the top universities, less likely to be employed in the more professional jobs. Now notice I didn’t say they aren’t, I just said less likely and it’s statistical fact and you can see it just by walking the streets. So, because they are less likely to be in that upper stratosphere people think “well it must be socio-economic”, as studies also debunked the fact that it was genetic. We have the eugenics movement that has done so much to prove that black is inferior and not very healthy, etc. 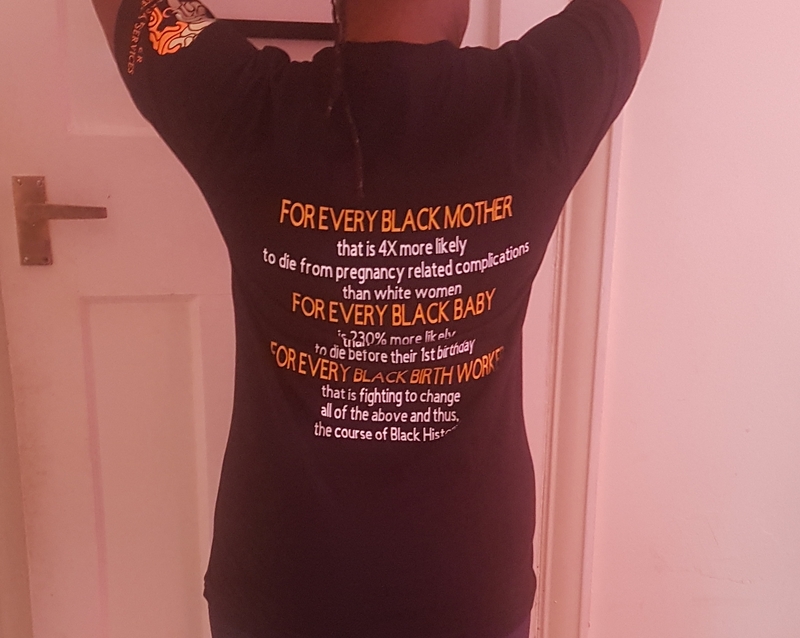 But nothing has proven to be the correct answer when it comes to socio-economic (Serena Williams being a case in point) or genetics etc when it comes to why black women are more likely to die in childbirth. Then they started to look quite seriously at what the reasons might be and what it comes down to the bottom line is it comes down to systemic, structural and generational racism. Now we have lots of knowledge about the physiology of birth. We know about the cortisol levels. We know about stress levels in people. We look at psychologists and they will tell you why (or theories why) different families work the way they work. Why this person is more likely to exhibit depression and other mental health issues. We look at their background and we look at the way things are having run through their family. We look at the way things have been for them generationally and we accept that as fact, but we don’t look at that in the context of black people. Because in the birth world, where everything is so very white and white is normal, the vast majority of the images that you see are going to be images of white women birthing white babies and images of happy smiling white babies. Yes, we’re starting to make small inroads, but you can look through pretty much any one’s birth work and the vast majority of the images that they use are white; so white is normal. So, when we look at the microbiome, nobody’s questioning the fact that we’re not looking at black women and their microbiome to see what the difference is and what it is that we’re setting up our babies with. With generational stresses and generational racism perhaps there’s a difference in our microbiome, something that needs to be looked at and thought about and talked about. But whilst we don’t have the research and the studies at the moment, we do have MMBrace who are looking at the different statistics and researching perinatal mortality, how black women use the maternity services etc. There is so much that we need to learn and it is a shame when the people, who most need to learn cultural competency, are the ones most likely to ignore it and less likely to do the work entailed. Of course a very good starting point is sitting still and listening, but if it doesn’t affect them, sitting and listening proves difficult. The conversation can be derailed by their need to define and direct the conversation. A later blog will give you a prime example of this. So, what do we do? What are you thoughts? What are you learning and sharing? Abuela Doulas are hosting a Reproductive Justice Retreat for black women and run cultural competency courses for birth workers. That’s what we’re currently doing. It’s a long road, but we’ve taken those first steps. Come join the conversation.